Quote: Maggot- Wait! Your making a mistake—-Joseph’s not Magneto! Joseph watches over a sleeping Rogue (yup he’s always been this creepy with her) when she realizes he’s there she promptly throws him out and even threatens to “snap his neck” (pleasant girl I assure you), he then reluctantly leaves. Downstairs the X-Men are busy fixing up the now/still empty mansion (with ugly wallpaper which only wolvie could have picked out bleh!) receive a letter from exiled and absent mentor professor Xavier. Beast is happy to hear from his mentor, he wishes them the best during the holidays an sends his love, this pisses wolverine off (what doesn’t?) 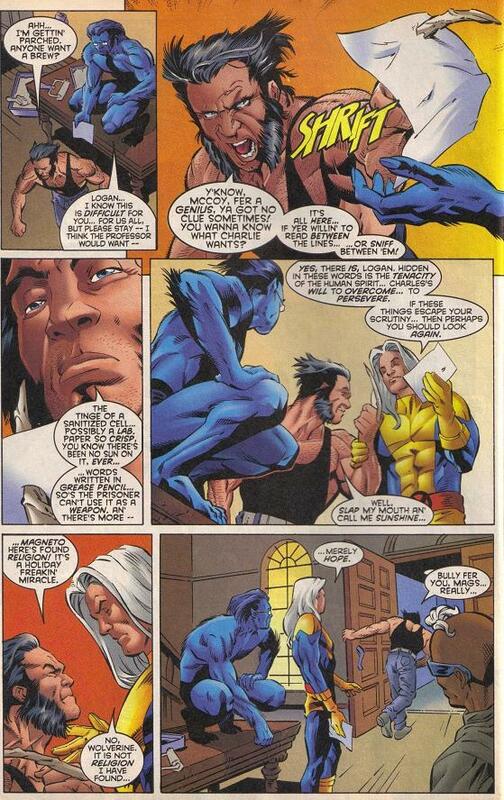 when beats inquires what’s wrong he snaps (as usual) he starts going on and on about the smells on the letter when Joseph walks in and asks wolverine if he can sense the “tenacity, will to overcome and to persevere” on the letter Wolvie snaps at him calling him magneto then storms out. In the Rio, Sebastian Shaw’s assistant (not that betrayer Tessa/Sage) is going over the arrangements for a party that the hellfire club is throwing but his mind is not there, he keeps looking at the apocalypse symbol which wraith gave him weeks before. With the wallpaper work done Joseph decides it’s time to have that talk with Maggott about what happened in Antarctica. Maggott does not want to have this talk for some reason but he ends up going along for the ride anyway, Sabra hears everything from the shadows…. Back at the mansion an exhausted Cecelia Reyes is creeped out by the vast emptiness of the mansion, when she approaches her bedroom, Marrow burst through her door …..carrying medical books and supplies??? (ok then) Cecilia gives chase but cant catch the boney mutant, in her mad rush she manages to use her powers in an offensive way, for the first time. Beast is actually the one clobbered by her power and he proceeds to fondle her and discuss her powers…neither of which she’s comfortable with. He then shows her the new years resolution list he has placed beside the stairs. 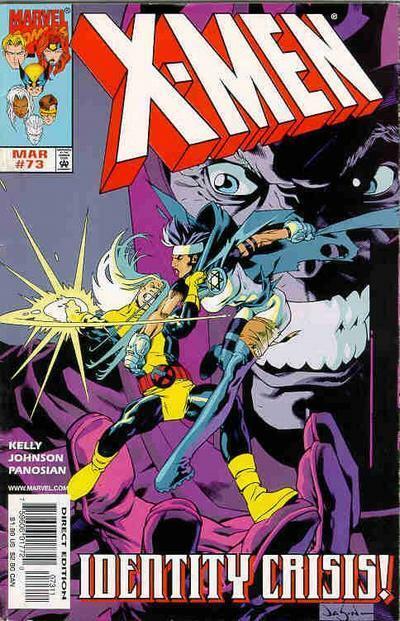 On the mansion grounds, the woods to be exact, Joseph asks maggott how they met before, unsure what to say but yet before he can respond, they are attacked by Sabra (yeah that was uncomfortable for all of us) She plans on killing the mutant villain Magneto who she thinks is Joseph. Before she can kill Joseph, Maggott stops by revealing that Magneto and Joseph are not the same person. Far away, Sebastian Shaw is annoyed by fellow inner circle members and after a final thought he accepts Wraiths proposal and leaves the inner circle. In Germany, the package that was sent to Storm a few issues back hits an unexpected bump in its proverbial road, strangely several African tribesmen appear from thin air to ensure that the package continues its journey to New York. When Joseph recovers he does not believe these revelations at first but, after considering his mysterious and enigmatic origin, he agrees to depart the x-men and go with Sabra so he may discover who of what he is. Maggott meanwhile is sworn to secrecy by Sabra since she believes this may be the best course of action if the real Magneto is keeping watch on the X-Men. She is paranoid that they should not alert him (ok I can live with that). With that he tells Maggott to say “bu bye” to Rogue for him and he flies of with (a new woman) Sabra to parts unknown. 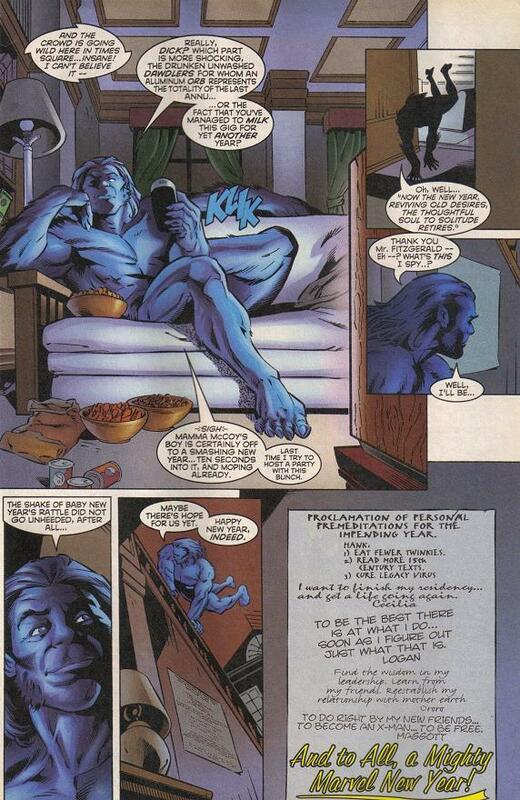 Beast starts a New Year’s Resolutions list, closes the story as all the X-men have made a vow for the new year! Nice but not tidy house cleaning by Joe. He gets rid of a character who’s now dead in his tracks so that we can focus on his team.